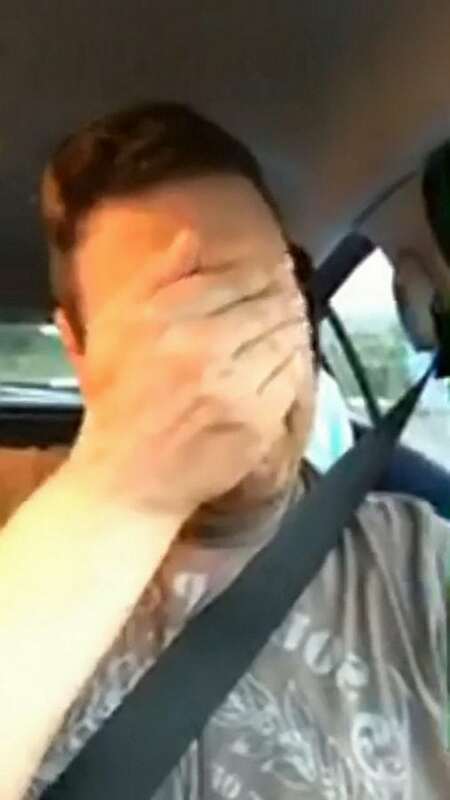 A former Army medic who tried to save a man’s life after a road crash posted this emotional video moments later – begging people to learn CPR. Tearful Richard Howman, 41, was on his way to work when he came across a horror smash at a crossroads involving a motorcyclist and a tractor. He battled to save the life of dad-of-two Shaun Morgan as he lay in the road but tragically he motorcyclist died at the scene in Priddy, Somerset. Richard, now a wedding photographer, then posted a heartbreaking Facebook Live video moments after the crash victim passed away. Mr Howman said he knew the best efforts had been made to revive Mr Morgan, who never regained consciousness. – But he implored people to go out and learn life saving skills. In the video, he said: “Ok. So we are on our way south to do a wedding. ”I have spent the last hour-and-a-half doing CPR on a motorcyclist with a load of other very good people, but he didn’t make it. “I have to say that stopping CPR is possibly the hardest thing I have ever done. Mr Howman added: “I believed we would be able to resuscitate him. Police and an ambulance rushed to the scene, along with an air ambulance, but nothing could be done to save Mr Morgan. In the moments after Mr Morgan’s death on June 29, Mr Howman sat in a car park and filmed a video where he spoke about the emotional events. The video has gone viral on social media. He said: “In the moment, how I felt, I though people should see how raw this is. I wanted to try and make something positive out of this. He met Mr Morgan’s grieving family days after the tragedy and talked them through his last moments. Mr Morgan’s dad, Steve, described Mr Howman as “my hero” and urged people to take the message to heart. He said: “Please listen to this young man he is my hero. “I can’t thank you enough in your efforts in trying to save my son’s life. “I’m so glad that my son was in your capable hands within minutes of the crash. “I couldn’t have asked for Shaun to have been with a better person than yourself in his last minutes of his life.